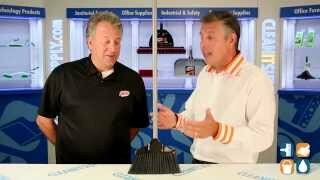 The Libman Housekeeper Broom is an excellent, cost-effective option for all multi-surface applications. 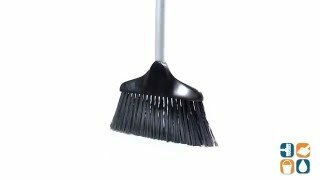 This broom is built to last with a full length 3/4" steel handle and a solid, one-piece resin block with hanger hole for easy storage. It sweeps up with PET recycled fibers that are stapled and flagged to prevent debris being left behind. Perfect for maid services and housekeepers.